Australia Awards alumni from Bangladesh and Bhutan have co-authored articles highlighting the importance of inclusive education in their respective countries, which was recently published in the special online edition of the International Journal of Inclusive Education. 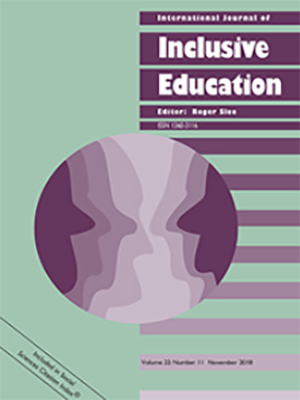 From Bangladesh, the article titled The challenges of geographical inclusive education in rural Bangladesh considers the challenges of promoting inclusive education in geographically isolated rural communities in Bangladesh and opportunities for implementing inclusive practices. The article highlights that the opportunities for inclusion come with the dedication and passion of educators who provide teacher training about inclusive education, assistive technologies, multi-lingual education materials, and advocacy by reaching out to parents and community members. The findings indicate that characteristics such as culture, the development of local resources, and the climate of the local context need to be considered in developing a relevant, inclusive policy to enact effective geographical inclusive practices in rural Bangladeshi communities. The article was co-authored by Australia Awards alumni from Bangladesh Hasne Ara Begum, Rokhsana Perveen, Evelina Chakma, Limia Dewan, together with faculty members of the University of Queensland Australia Rawshan Sadia Afroze and Donna Tangen from the Queensland University of Technology. From Bhutan, the article titled Supporting students with disability in schools in Bhutan: perspectives from school principals highlights the challenges faced by Bhutanese educators in implementing inclusive education for students with disability throughout their schooling system. As a part of the research, looking at current practices and future inclusion 14 Bhutanese principals from the schools that have started implementing inclusive policies and practices responded to questions on inclusive practices. The Principals described lack of specialised teachers, inadequate resources and facilities, and a lack of holistic inclusion as barriers while noting that students were accepted by their peers, that the schools were working well with what they have, and that there was a positive attitude for the future. The findings of this research will be of interest to researchers and leaders in schools and ministries of education who are working to promote more inclusive schools in less developed countries. This article was co-authored Australian alumni from Bhutan Amrith Bdr Subba, Chokey Yangzom, including Australia Awards alumni Karma Dorji, Sangye Choden, Ugyen Namgay together with Queensland University of Technology faculty members Suzanne Carrington and Julie Nickerson. The articles are an outcome of the Regional Alumni Workshop of Australia Awards in South West Asia, held in 2016 under the theme ‘Education for All’, where the workshop facilitator Prof Suzanne Carrington from the Faculty of Education at QUT, encouraged the participants to co-author articles on Inclusive Education together with Australian collaborators. The workshop also facilitated the fostering of linkages among alumni from the participating countries in the South and West Asian region, allowing them to exchange ideas and experience on policies and practices in Inclusive Education. As a part of this, on their own initiative, Workshop participants also established a community of practice on Facebook, where they continue to share resources and experience, and stay connected. This network continues to grow and subsequent Australia Awards short course participants on inclusive education have also been integrated in to the platform.